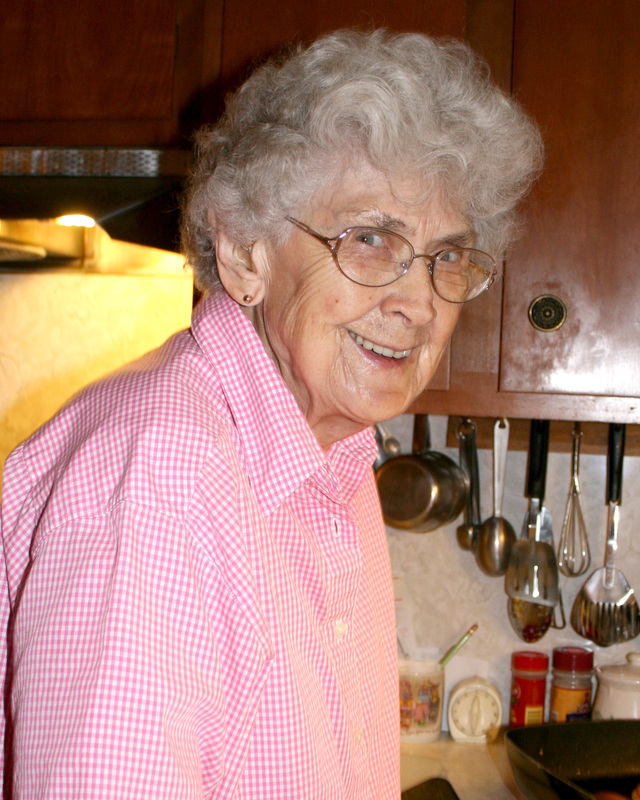 Nearly three weeks ago my grandmother, my Nana, went into the ICU. On June 21, I drove 10 hours to New Hampshire to join my aunt and uncle at her bedside. When I saw her, I had a feeling that she wasn’t going to recover this time. On the morning of June 23rd, with my aunt and me at her side, my Nana died. The next few days were a blur of planning, gathering family, and coming to terms with what had just happened. Nana with a gleam in her eye. It was understood that I would write and officiate most of Nana’s Celebration of Life with my uncle and local pastors offering prayers, scripture and a Christian message within the service. It felt like an immense responsibility. More than ever, I felt the need to “get it right:” to create something that would express Nana’s life and personality, that my family would feel was fitting and good, and that my Nana would have loved. I really wanted to walk in the forest this morning, a specific forest in fact. My sister, Kerry, and I used to walk and talk a lot, and we both loved being outdoors. So today, February 5th, on the 17th anniversary of her death, I wanted to hike to a particular cedar grove in the local conservation area as a way of honouring her. Last Sunday however, when attempting to hike in that area, I’d fallen on the huge sheet of ice that the forest path had become and wrenched my knee. It was mild a few days ago, but not mild enough to melt all the ice. I couldn’t risk it. I felt disappointed but decided to trust that I would figure out something else to do. 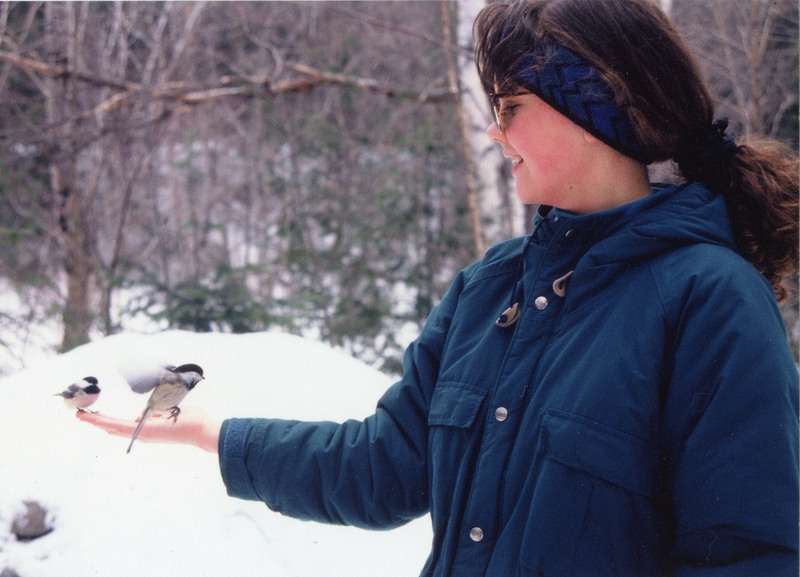 Kerry with the chickadees in New Hampshire, 1994. This is the unspoken question I often see in the face of a new acquaintance when I explain that I help families create funeral and memorial ceremonies. Writing and officiating custom-made wedding and baby ceremonies makes sense to people—after all, they’re happy occasions! But to choose to work with funerals on a regular basis…the very thought makes most people uncomfortable. It is not an easy vocation, to be sure. It can be unpredictable, testing, and heart-breaking. So why do I feel a strong pull to end-of-life ceremonies? The seeds of my involvement were planted over sixteen years ago.